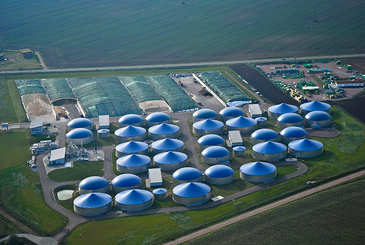 Biogas plants are an important building block for future energy production. Regardless of sun, wind or water, they are able to continuously generate power and heat. Moreover, biogas can be stored and is thus far superior to other renewable energy sources. The associated future potential offers strategic and financial investors the optimum framework conditions for an attractive investment. WELTEC BIOPOWER offers the prerequisites for the best possible parameters. WELTEC has already delivered innovative concepts and solutions for compact to large-scale plants world-wide. In doing so, we rely only on proven technologies that are geared to meet the requirements of the respective industries. The bottomline of this philosophy: The components and materials used guarantee a long service life for our systems and plants. And the result is stable, long-term partnerships in all areas. Just what investors appreciate: Technologies with future, a successful business model and a competent, reliable team. Are you looking for profitable projects? Contact us!